Fr. 54e Harder derives from Heracles’ speech to Molorcus before he kills the Nemean Lion in Callimachus’ Victoria Berenices. The mention of Melampus at lines 5–6 has been interpreted as a parallel to Heracles’ exploit (Parsons) or a reference to an Argive location where Melampus cured the Proetids (Harder). This paper argues that the Hesiodic Catalogue of Women is a plausible intertext for Melampus’ Argive affiliation, unifying these two interpretations. Mirroring the structure of the Hesiodic epic, fr. 54e presents a catalogue of Argive hero-kings who through their benefactions (Danaus, assuaging the drought; Melampus, curing the daughters of Proetus; Heracles, killing the lion) parallel Berenice herself. The catalogue reflects Ptolemaic ideology: Berenice’s victory expresses her royal charisma, benefits the kingdom and guarantees its stability. In the course of his attack on romantic love, Lucretius asserts that even the most beautiful woman shares the failings of an ugly one, such as making bad smells. The source of this smell is controversial, with suggestions including perfume, cosmetics, defecation, menstruation, flatulence and gynecological fumigation. The article lays down four criteria for a convincing interpretation and tests the different theories against these. It concludes that the reference is scatological and illustrates the influence of the passage on certain poems of Jonathan Swift. This paper offers a fresh interpretation of the role played by the Dream of Scipio in Cicero’s De re publica. It explores Cicero’s key distinction between the cosmic and the local levels of statesmanship and the problems he sees with localism, and it details fully for the first time the importance that Cicero attached to the virtue of magnitudo animi (“greatness of soul”). The paper makes the case that in De re publica Cicero promotes his own innovative cosmic model of politics, in which magnitudo animi is developed through an educational process situated in the traditional Roman mos maiorum. 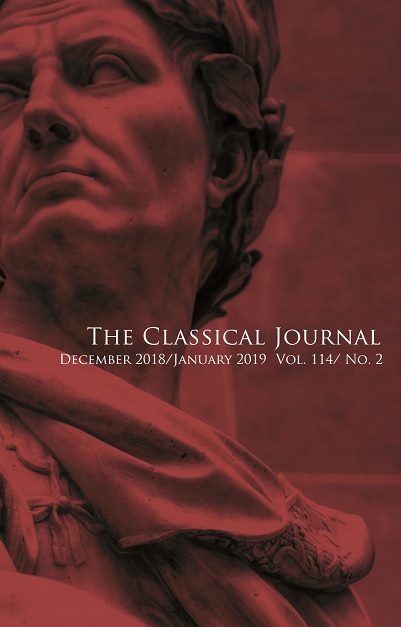 This paper examines the poetic qualities of Caesar’s speech in two episodes from Lucan’s Pharsalia and argues that Caesar attempts to rival Lucan in the poetic representation of Rome’s past. A close reading of Caesar’s speech to Amyclas (5.532–7) reveals a density and complexity of figurative language that justifies the narrator’s assessment of Caesar as indocilis privata loqui (5.539). In his simile comparing Pompey to a Hyrcanian tiger cub (1.324–35), Caesar employs a particularly Lucanian poetics: rhetorical, violent and tendentious. However, Lucan ultimately gets the better of his character by appealing to the reader’s knowledge of Rome’s literary (Vergilian) past.